The two halves of the grain trailer are on opposite sides of the highway. 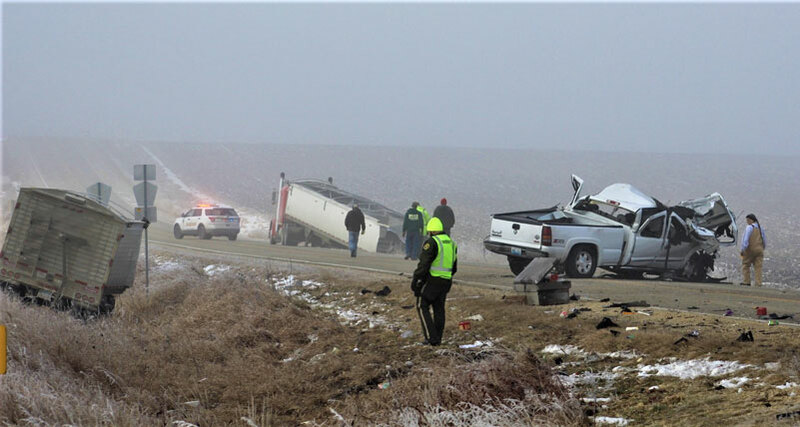 A pickup truck ran through and split in half the grain trailer on a semi this morning sending two people to the hospital. 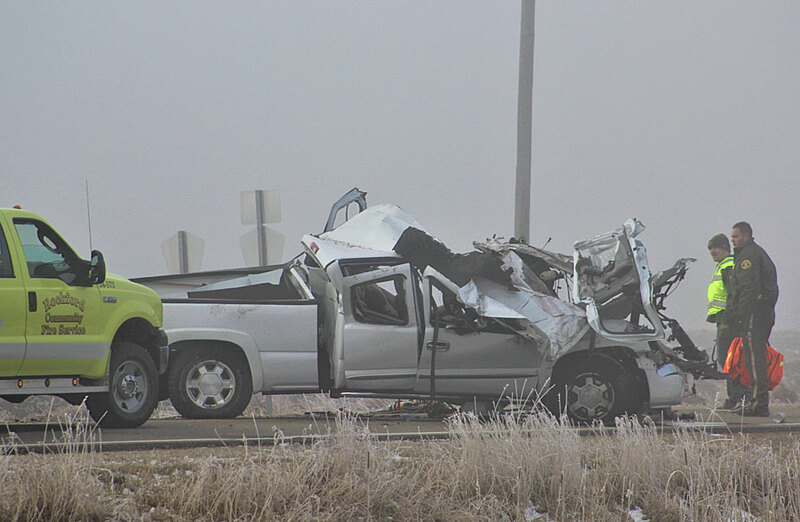 The accident happened at the intersection of Dancer Avenue and 270th street south of Rockford just after 9 this morning. 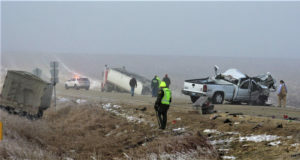 The pickup truck rested in the middle of the roadway while part of the trailer was on one side and the tractor hooked to the rest of the trailer was on the other side. 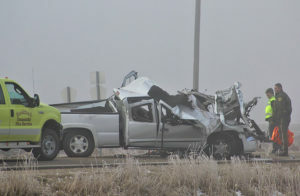 The driver of the semi appeared to be okay, but the condition of the pickup driver is not available. Investigators are still trying to sort out what happened and not charges have been filed. The pickup which went through the grain trailer.